I really enjoyed this audio book and learning so much about a culture, tradition and people right under our noses. There are so many things to learn and appreciate from the Amish. It should show us if nothing else to not judge a book by it's cover. On my 3rd listen. Great book. A simple guide to living a simple life. She gives guidelines for a life of less and more. Less hurry, worry and bother, and more love and joy and peace. 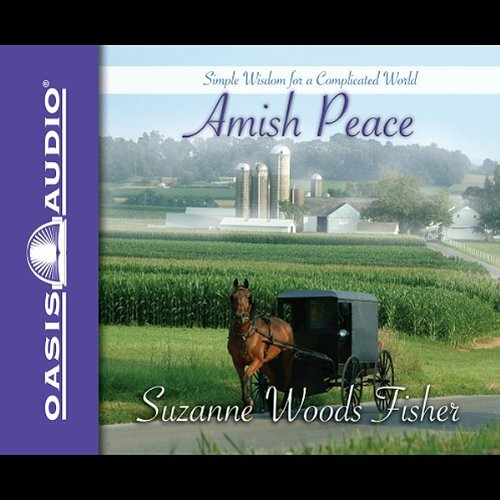 "You can't be Amish, but you can adopt these simple ways of living and bring an Amish peace into your world"
Cuts to the heart of value in life and completeness of self. Engaging and challenging. Bring your heart whole and life full at its core. Better than a relaxation tape at the end of the day, helps me get of to sleep perfectly!